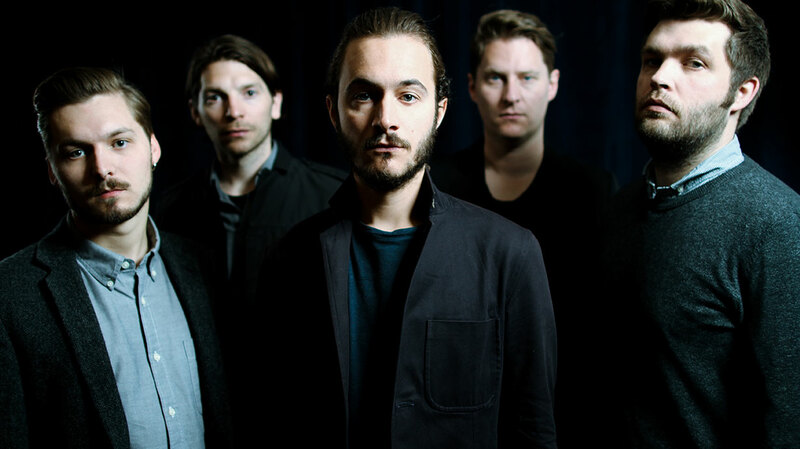 Having focused on a more guitar-driven sound for 2013’s The Weight Of Your Love, Editors have shifted the emphasis back to synths for their fifth studio album. Here, frontman Tom Smith and bassist Russell Leetch reveal the rationale behind the change, and give an in-depth insight into the band’s creative process for In Dream. Following Chris Urbanowicz’s departure during the making of The Weight Of Your Love, In Dream is the first album you’ve started from scratch as a five-piece. Did that alter your creative approach at all? Russell Leetch: Yeah, very much so. 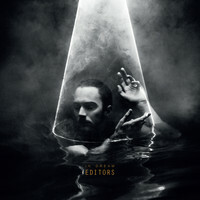 I mean, Justin [Lockey] and Elliott [Williams] are fully integrated with the band now. This was the first time that Tom’s taken ideas from Justin and Tom formed them into songs, and that’s a different way of working for us. When Chris was in the band he had a very certain way that he wanted things to be, which is fine but it meant that sometimes other people would take a back seat. Now it’s a lot more open for everyone to suggest things all the time, and that takes songs in different directions. You recorded In Dream in a remote part of the Scottish Highlands. Did you go there with the intention of recording the album, or was it more about laying down sketches? Tom Smith: Yeah, just sketches I guess – that’s a good way of putting it. On the other records, we’d take my demos and rehearse them in Birmingham, to get them up to scratch before making a record with a producer. This time, we thought that maybe if we just went somewhere isolated, without anything else to do other than just work on the tunes – somewhere with potentially no distractions, and ideally in quite an inspiring environment – then maybe something else would happen with the tunes, unexpectedly. And it was just important to do it a different way to keep things fresh, so you don’t feel like you’re stagnating or going round in circles. The idea was to go there but take a Pro Tools rig and all of our gear and develop the ideas and see how far we’d get with them. We’re pretty well behaved. Regular people at a wedding are a lot more rock‘n’roll, to be honest. You were staying at an artist’s retreat, right? RL: Yeah, that’s what it was set up for. It’s a big converted barn on the top of a hill overlooking the Isle of Jura. You can see the ocean from there as well – it’s absolutely stunning. The room is all open-plan and has a glass wall so you see everything. It was a pretty spectacular place, so I think it seeps into the record in terms of the cinematic approach. TS: It’s wild there; the weather changes within minutes, from snow to sunshine. RL: We experienced the end of two hurricanes and there were big snow storms as well. It was a bit of an adventure. How did you hear about that retreat in the first place? TS: Just through the internet. The idea was for it to be an artist’s retreat, like you said, but it mostly hosts weddings because it pays the rent. I think it was nice for them to have people using the space in the way it was intended, and that we were musicians, rather than another wedding. You’d think they’d be quite nervous about having rock stars messing up their pristine wedding venue. TS: (Laughs) I don’t know... People behave really badly at weddings. We’re pretty well behaved. Regular people at a wedding are a lot more rock‘n’roll, to be honest. How would a typical day there pan out? RL: Get up around 11ish and work until midnight, with meal breaks. There wasn’t any entertainment there and even the internet didn’t really work so it was just us and the music. TS: Justin generally worked the computer – the Pro Tools session – so he would be sat there, normally with his hood up. The daylight hours were spent talking about things, maybe listening to what you’d done before, and playing around with things. Then, as it started to get darker, you’d turn the fairy lights on and have a few drinks and there would be more playing together and creating music. Unlike the last record, In Dream is predominantly synth-driven rather than guitar-driven. Was that intentional? TS: It was an evolution. RL: I think there are a few different sides to the record. There are some moody, slower pieces like ‘No Harm’ and ‘The Law’, and then more obscure pop like ‘All The Kings’ or ‘Our Love’. And then there are more traditional songs like ‘Life Is A Fear’ or ‘Forgiveness’, which could have been on a bunch of our different records. TS: Yeah, we didn’t have a set vision musically of how it was going to end up. The first song that came into focus was ‘No Harm’ and that felt like an important song in terms of the way the keyboards were sounding in the room. I think that song’s a good signpost for the world the record comes from, really. The reference points for the last record included bands like R.E.M., U2 and The Cult. How did that differ this time round? TS: With the last record – having gone through the break-up with Chris and having had two new guys coming in – we had to prove to ourselves that we could be a band. With this record I think we have gone towards some different reference points, obviously including more electronic stuff. But to me, [In Dream] feels like a step on from our third record. I think in time our fourth record might seem a little bit like the odd one out. RL: But we’re always surrounded by music. Michael Price’s Entanglement was on quite a bit and I went record shopping yesterday and bought lots of Erased Tapes stuff, like Ólafur Arnalds and Nils Frahm. You self-produced, and Alan Moulder mixed the album. He has previous form with electronic acts – was that why you chose him? RL: He’s been on our radar for a long time. TS: In some ways it was quite an obvious fit; I’m surprised we’ve not worked with him already. We’d done this month up in Scotland and we had some songs that were possibly ready to be mixed, so it just felt like, “If Alan wants to do it let’s just try him. What have we really got to lose here?” Hearing them come back with the perfect balance of grit and polish, we knew that once we’d finished the whole record we’d like to get Alan to finish mixing it for us. Rachel Goswell from Slowdive appears on the album. How did that come about? RL: We are fans of Slowdive; on our first splitter tours we used to have Souvlaki playing in the van. We found out that she was a fan of ours because when they reformed our managers were involved with that and so we got a connection to meet up. We’ve wanted to include a duet ever since the third record and it’s just never worked out. Obviously, she’s done a lot of records with Mojave Three too, and from that stemmed another project with Justin and their super indie group, Minor Victories. How was she to work with? RL: We got her up [to Scotland] and got her to sing on a few tunes, and on another song that’s going to come out called ‘Oh My World’, which was very, very close to being on the record. Thematically, it feels like suffering and redemption, anxiety and hope loom large on In Dream. Is that fair? TS: That sounds about right. It comes to me very naturally, without too much agenda or sometimes that much thought. It takes time and the right kind of space and frame of mind, and the images just come. Everyone asks me if I’m happy a person, and I am; I don’t believe you have to be sad to write a sad song. But equally, I think that everybody has demons or a dark side, or has been through things, and I find it easy to tap into that and use that as fuel for the songs that I write. TS: Most of the songs have references to dreams or dreaming. Again, it wasn’t by design. I realised towards the end of making the record that there was this thread that connected all the songs. Is there anything you learned about yourselves as a band in the process of making this album, or are you way past that stage? TS: Well, we’re not, no, because it’s only the second record we’ve made as a five-piece. The dynamic and the way that we work together is quite young; we’re still in the honeymoon period in some ways. But in terms of learning things or realising things, it’s nice to be totally collaborative and that stems from the fact that we’re producing ourselves. We learned that we have trust in ourselves as a group to make those hard decisions, because previously there would always be somebody there – a Flood or a Jacknife Lee – to do that. This time round, we had to navigate all those things and get to the answers ourselves. So what’s the plan for the rest of the year? RL: Touring starts in October. We have a big UK tour followed by a bigger European tour, and then we’re going further afield next year, to America possibly. And then the festivals, which we didn’t do this year intentionally. TS: It’ll be quite nice to play the songs for the first time once the record’s out. That’s not to say that they’re all going to fit in straight away; there will be some that don’t quite work in the set. But we’ll certainly play a lot of new songs. A decade on from your debut, have your motivations for making music changed at all? RL: Not really. We’re still excited about that buzz that you get when something clicks for the first time, like when we went up to Scotland and made ‘No Harm’. That feeling doesn’t really change. TS: It’s an adrenaline rush. RL: So that motivation isn’t different. When we go out on the road now, we’re not the shy 19 year olds that we were; we go out and entertain and you put on more of a show, and that’s good – you learn as you go. TS: I think, to start with, there was a nervous tension to the music. Certainly, with me, there was a lot more anxiety; I’m a lot more relaxed now. I think now we have a wider knowledge of songwriting and pop songs and how to pull different things out of songs that wouldn’t have been there if you’d just gone with your gut instinct. And do you have any outstanding goals? RL: I wish Villa could score some... (Laughs) No, to go to South America. TS: Yeah, that’s always a common one. We’ve never quite worked that one out. The closest we’ve been is Mexico and it’s a lot of fun and the audience really get it. But there’s no map on the table, no.